A soon to be established public sector undertaking will buy a 30 percent stake in the Acron group, according to a report in the Business Standard. The Indian Government will soon sign a protocol with its Russian counterpart, under which a newly established Indian public sector undertaking (PSU) will buy a 30 percent in Russian fertiliser and potash manufacturer, Acron, the Business Standard reported on Wednesday. The protocol will be over and above the agreement which Indian Potash Limited has with Uralkali, the paper added. Russia offered the stake along with a buyback agreement for exclusively supplying the produce back to India, the paper cited sources close to the development as saying. The new PSU will be a consortium of undertakings led by National Mineral Development Corporation with Rashtriya Chemical Fertiliser Krishak Bharti Cooperative, Fertiliser and Chemicals Travancore and National Fertiliser Ltd. The protocol between India and Russia could be one of the big ticket announcements made when Russian President Vladimir Putin visits India in December for the 15th annual bilateral summit. Acron is a global mineral fertiliser producer with a diversified product portfolio consisting of complex fertilisers such as NPK and bulk blends, and nitrogen fertilisers such as urea, ammonium nitrate and urea-ammonium nitrate. India is one of the world’s largest importers of potash. In the 2013-14 financial year, the country imported 3 million ones of the fertiliser. Earlier this year, Uralkali the world’s largest potash producer by output, agreed to supply 800,000 tonnes of the fertiliser to India between April 2014 and March 2015. Under Uralkali’s deal with Indian Potash Limited valued at $258 million, the Indian company is buying potash at $322 per tonne, around 25 percent less than what it paid in 2013. 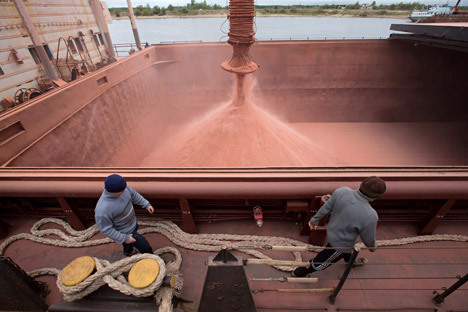 Prices started crashing last year with the advent of a Russian-Belarusian potash war, when Uralkali announced it was pulling out of a partnership with Belaruskali, and, in particular, terminating joint sales of fertilizer through the Belarusian Potash Company (BPC). Then the whole marketing strategy of Uralkali completely changed. Previously, the company exported fertilizer on the principle of “price before volume” and preferred to reduce production volumes rather than give consumers a discount. The Russian company then announced it would increase production capacity to 100 percent. Belarus even detained and arrested Uralkali Chief Executive Vladislav Baumgertner last year, before sending him back to Russia.